Kiran Ramchandran is an award winning writer and director. He is a visually driven story-teller and concept developer who possesses the powerful creative abilities, directing experience, and leadership skills to have managed creative projects with a scope of over $15M (feature films). His high-level experience directing every creative department necessary for the execution of large-scale media projects combined with his passionate DIY ethos allows him to bring the same superior level of imagination and creativity to the smallest of projects. Kiran is a rare breed of creative who can not only concept and develop cutting edge projects and campaigns, but is also in possession of the complete technical artistry needed to bring those ideas to life. 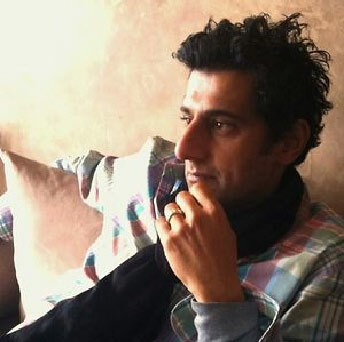 With accomplished talents in all areas of digital, film, and TV production—writing, producing, directing, cinematography, still photography, picture editing, sound editing, graphic design and visual effects—Kiran, when necessary, can single handedly deliver projects from conception to creation. In 2008, Kiran established alleyoop media, a transmedia digital agency producing on-line videos, branded content, webisodes and television projects. Kiran developed an elite creative and technical team with the power to execute standout branded content fueled by his cinematically visual and narrative command of filmmaking. The success of alleyoop media culminated with an offer of purchase from a leading digital ad agency less than three years from the start-up’s inception. In 2011, Kiran went on to Ogilvy & Mather, where he charted a new course for the advertising agency’s creative evolution by pioneering long format brand integrated films and videos. Under Kiran’s helm, the agency began developing feature length narrative and documentary films as well as television projects in conjunction with Ogilvy Entertainment. Kiran also served as the senior director for broadcast and online commercial spots.